Take yourself back in time as you revisit the original incarnations of the Doctor - all the original Doctors are back! 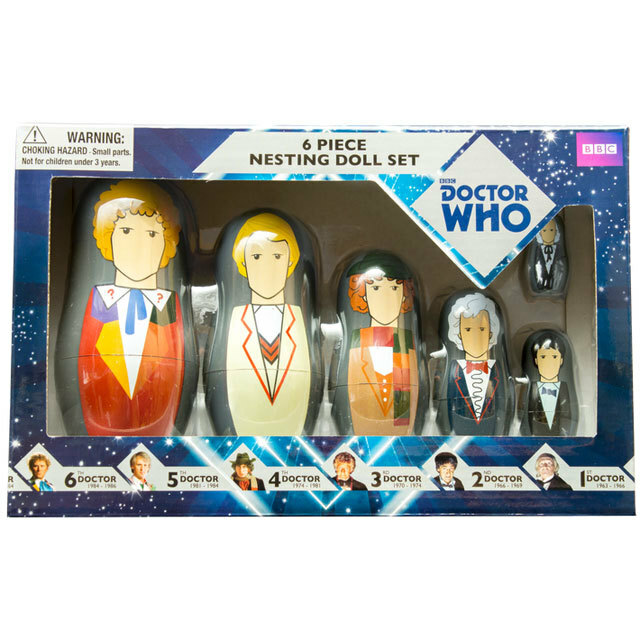 In this set you will receive 6 different Doctors. Colin Baker's version of the Doctor is the largest and each reduces in size down to the smallest (William Hartnell's version is the tiniest) and all are designed to stack inside each other. 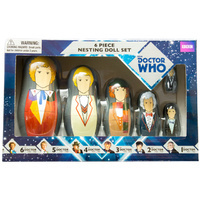 Have yourself a space and time adventure with the Doctor Who Nesting Dolls, now you just need the Jelly Babies. 1st Doctor - 3 cm in height. 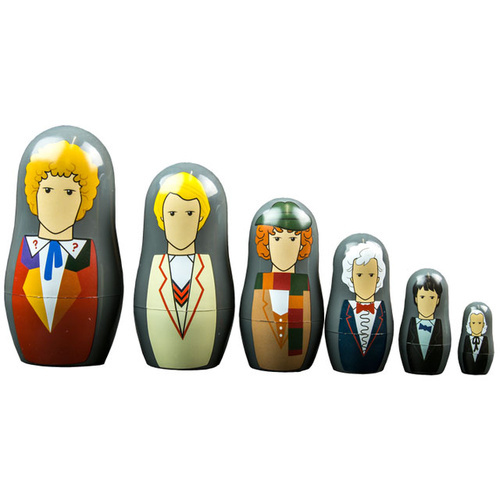 7th - 12th Doctors also available as a Nesting Doll Set.